On regional jets and wheelchairs « Hercules and the umpire. Since a nautical mile is one minute of arc along any meridian of the Earth’s surface, air miles must depend on the height at which you are flying–a bigger “meridian” of sorts, depending on how far you are off the ground. Glad to hear you’re safe and sound on the Earth’s surface. Welcome home. 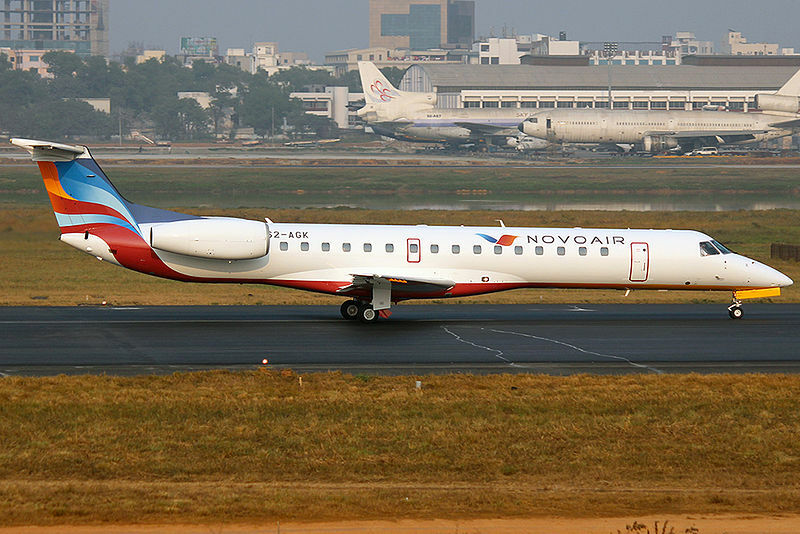 For what it’s worth, the Embraer ERJ 145 has a great safety record. Just saying. Regional U.S. carriers, not so much. That, however, is more a function of low-paid, low-experience flight crews and the carriers’ skimping on training and maintenance support than it is a function of the aircraft themselves. My SO is a flight attendant and they always know that if there are 5 wheelchairs on boarding the plane, there may only be 1 or 2 using them to get off the plane, 3-4 being bogus. They call these the “miracles”. So when the gate agent opens the door (the FAs don’t open the door from the inside, simply disarm the slide) and the gate agent gets the paper work for the flight, the FA will tell the gate agent the wheel chair count which is based on the boarding count. The airlines have started to allow infirm, elderly, parents with small children, etc to board first without the charade of the wheel chair required in order to help stop the bogus use of the service. Anyhow, wind speed matters because air is the medium upon which the engines impart their thrust. This is limited by the physics of the plane’s engineering so the plane can only travel x miles per hour air speed. Ground speed matters because it is the real speed by which you get to your destination. In math, air speed = Ground speed + wind speed. NB: Wind speed can be a negative number. In a car, air speed doesn’t have a big impact and it does not alter the reported ground speed on the speedometer, so no one cares. At most, it causes the engine to work harder and cuts the maximum possible speed capable by the car. This is why land speed time trials on the bonneville flats go twice in 180 deg opposite runs. I can’t tell you why you should care but…. Groundspeed is speed relative to the ground. Airspeed is (basically) speed relative to the air. So the two are (basically) the same when the air is still – when there is no wind. But when the air is moving, they diverge by (basically) the speed of the wind. Suppose a hot air balloon is hovering in perfectly still air. Since it is not moving over the ground, it has zero groundspeed. Since it is also not moving relative to the air, it has zero airspeed. But if the air starts moving, if it becomes windy, the balloon will move with the wind. In everyday english we would say the balloon is being blown by the wind. But actually the balloon is just floating in moving air. * Which is to say, the balloon still has no airspeed as it not moving relative to the air – but it does now have groundspeed because it is moving relative to the ground. So too with planes. A plane flying at 500 knots airspeed in still air is flying at (basically) 500 knots groundspeed. And if the plane encounters a 100 knot headwind it will (basically) maintain its 500 knots airspeed without, contrary to what we might intuit, anything being done to the controls. That’s because flying in a headwind just means flying in an airmass that is itself moving in the direction opposite to where you want to go. The plane doesn’t feel the headwind – the plane is just carried along with it. But of course the headwind does decrease groundspeed because even though the plane continues to move at 500 knots relative to the air, the air is moving 100 knots relative to the ground and in the opposite direction. So groundspeed is now 400 knots. An imperfect but useful analogy is walking through a train. Airspeed would be how fast the person walks through (or relative to) the train. Groundspeed would be how fast the person moves relative to the ground underneath the train. The person’s airspeed, then, is just the person’s walking pace. It is not a function of how fast the train is moving (leaving to the side any increased difficulty of walking through a moving train versus a still one, which makes this an imperfect analogy). But the person’s groundspeed, in contrast, is a function of both walking pace and the the train’s speed and direction. So if you start at the back and walk forward, your groundspeed in a train moving 200 mph will be slightly greater than those who remain seated the whole trip. And your airspeed will crush theirs as theirs will have been zero whereas yours will have been however fast you were walking. That’s the magic of how a plane whose airspeed probably didn’t exceed 520 mph was able to achieve a groundspeed of 600 mph. *I’m oversimplifying but in the absence of designing or flying any flying machines, this should suffice. The only shortcoming that I can see from using a wheelchair was that it physically separated you from your “arm candy”, i.e., your lovely wife. Other than that, hope you enjoyed the ride. Great explanation. Thank you. I feel less dumb but still dumb. Your commen was very helpful. Thank you. You mean the fact that both pilots had braces on their teeth and bad cases of acane matters? Or that stuff was hanging out of the engines should cause you to worry? I am perfectly OK flying small planes. Used to fly very small planes as a lawyer. I mean the four seat kind with pilots who did most of their flying on spray planes thus providing an extra modicum of excitement when they displayed their expertise on charters. So, a jet, even a small one, doesn’t bother me at all. 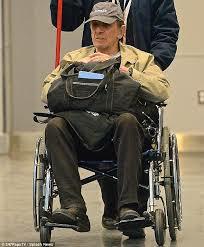 Is that Mr Spock in that wheelchair? Using a wheelchair getting off international flights is every educational, as you are rushed to the head of the lines for customs and immigration you learn many new words of abuse in the world’s languages. Green, I bet that’s true. Particularly when you pull out all the crap you’re bringing back from your gambol about Paris. You’re a rich Federal judge. Get one one these, which you can get already built and proved out–i.e., pre-owned; then you can fly on your own schedule. Oops. I meant “second of arc.” That’s why I majored in journalism, not science! Glad you used the wheelchair. There’s no reason for it to be humiliating – particularly when you are traveling in an airport where there are such logistical nightmares. I must say on a recent flight – there was an attendant waiting with a wheelchair when I got off the plane. They asked if I had ordered a wheelchair and I responded vehemently, no. I wonder if that was one of those bogus wheelchair requests. Who can you trust now anyway?? Me piloting an airplane is like me carrying a gun. Both would produce unpleasant results. Elaine, I don’t know who you can trust. But, I can say that the airline (United) was very helpful and the attendants were very accomdating. The process was easy. When I checked in I explained my situation, and the United agent who was taking our bags put a code into the computer with my name, and sure enough the wheelchair was there when I arrived. Laurie, I disagree. I think you would have been a fine navigator. In that regard, and before Castro took over Cuba, but prior to my dad doing his Willy Loman routine, mother and father used to crew on a 75 foot schooner in a race between St. Petersburg and Havana. Navigation was important. That memory prompts me to recommend Patrick O’brian’s series of novels about sailing a man-of-war during Lord Nelson’s time. See, e.g., Master and Commander, W.H. Norton (1970) (first in a 20 volume series). There you will find in exquiste detail what it was like to navigate a ship when a “second of arc” truly mattered. Moreover, the series is great literature. But seriously, why let the fakers keep you from using a chair if you need one? I’m still able to get on and off planes with relative ease, but I’ve given up the backpack for a rolling carry-on, and I can recall my Dad, who didn’t use a chair in “real” life, used one to get on and off planes, and it was perfectly legitimate. As a former captain on the EMB-145 and now someone who has to use a wheel chair especially when I am at a higher elevation airport I can sure empathize with you. On the outside I look pretty healthy but no one can see that I only have part of my right lung left after infection caused 3 of my 5 lobes to be removed. My only saving grace in the airport while I am in a chair is the portable oxygen concentrator I drag around and tubing to a cannula in my nose. Thanks so much for writing. My nephew flies a Gulfstream 3 or 4 for the “chair” force, as he calls it. He loves that plane. Did you like to fly the EMB-145? I am sorry to hear of your lung issues, but half glad that you at least have the machinery to prove that you are not a “wheel chair” faker. On second thought, I am not even half glad. You’d ditch the machinery in a moment just to be able to walk without feeling faint. I am truly sorry for your trouble.